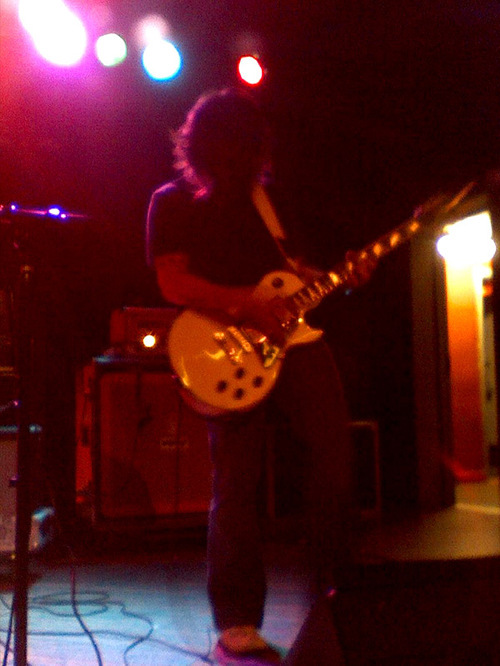 Yes, I am taking the opportunity to review not one, but TWO bands from Wednesday night’s show at the Knitting Factory! 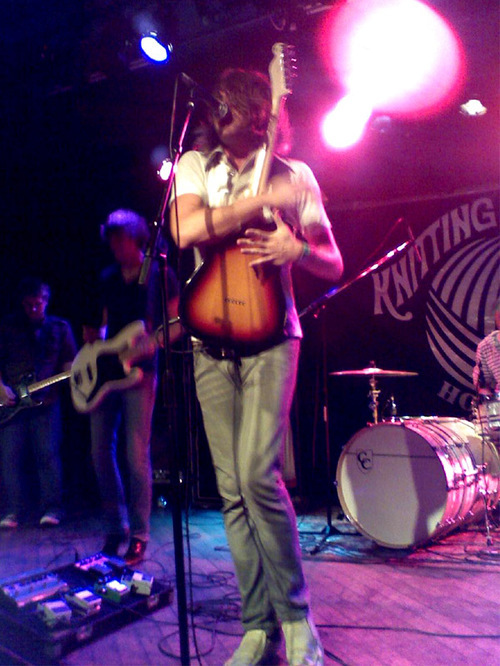 Headliners, The Working Title brought their great alternative rock sound from South Carolina back to Southern California for their first show back in over a year. The Working Title is one of those bands lucky enough to catch the eye of a major label and get signed before spending a couple years on an independent label. But, major label backing is not as illustrious as it seems, as these road warriors are still building their band reputation and their following. Practically unknown in these parts, The Working Title are very well known in and around their home state of South Carolina. 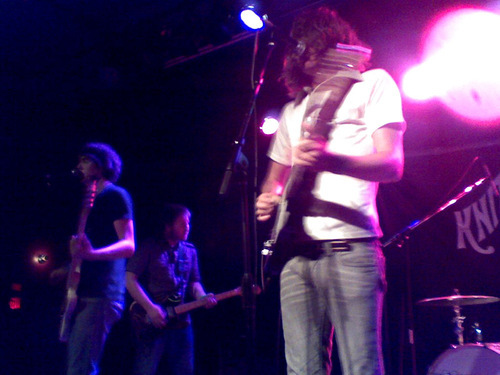 The band has definitely has the chops to build a bigger following in the left coast, especially after one of their songs was used in the MTV series Laguna Beach. Their sound varies from dance-rock, to alternative radio friendly rock, and acoustic and piano driven rock. Songs off their major label release About Face like “Glorious” and “About Face” will get your head swaying. “Under the Ground”, an slower acoustic driven track will get the cellphones up and swinging with fans singing along. And songs like “The Crash” and “Blind”, lead singer Joel Hamilton sings with such emotion and passion that it feels like he’s practically speaking out to the crowd. Original members of the band, drummer Ross Taylor, lead guitarist Adam Pavao, and lead singer Joel Hamilton bring the core of what the band is all about, their music, life, and times. Pavao riffs are almost dreamy in nature for many of these songs, a perfect combination with Taylor’s beats. Newer members basist Chris Gingrich and guitarist Matt Podesla complete the sound with their contributions. Gingrich helps with much of the background vocals. 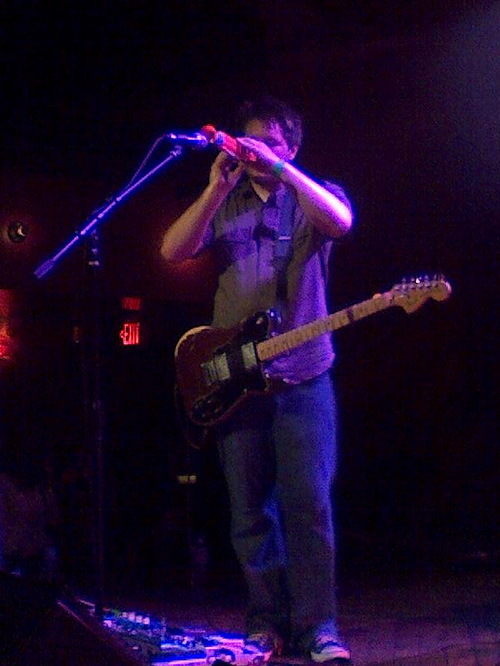 A unique moment during the show was when Podesla played what appeared to be a red toy flute during one of their songs. Lead singer Joel Hamilton really stood out on this night, whether he meant to or not. 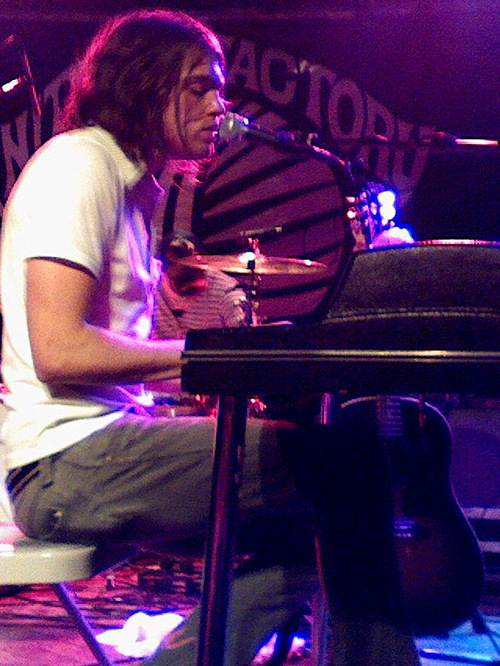 He reminded me a lot of Adam Lazzara in the beginning of Taking Back Sunday. He was gave off a very erratic and unpredictable vibe, intriguing the audience by hugging his guitar, thrashing a tambourine into a drum cymbal and throwing it up in the air, then later pulling out his keys and jingling them in place of the tambourine. He carried on brief talks with the crowd, especially after the sustain peddle on his keyboard broke, forcing them to skip a song and later telling a story about their water bottles and jaw jacking with some members of Days Away who were watching from the floor. Antics aside, just like a passionate and artistic front man like Lazzara, Hamilton’s emotions while singing songs are so heartfelt, that you can really see how much the songs mean to him. It is a shame there weren’t more people who came out to see this band, as The Working Title put on a great show with the mix of their wonderful music, interesting selection of instruments, and an almost enigmatic front man that will pique your interest to know what this band is all about. Hopefully, The Working Title makes their way back soon. wow that guy totally looks like adam from tbs! I haven't been a fan of The Working Title since they praised Steel Train. However, I've heard that their music and shows are a lot of fun. I might give them another try based on this review.